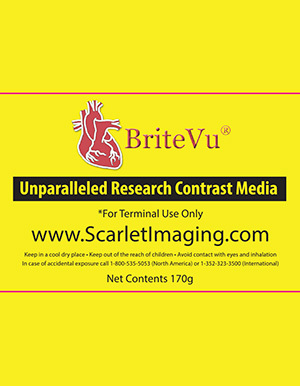 As different researchers have been requesting specific features (when looking at vascular structures), our team has been using a variety of techniques to improve image quality with BriteVu. 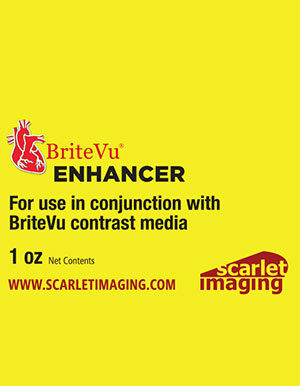 This image shows the caudal side of a mouse liver perfused with BriteVu and Metaflow (The Dodge Company, http://www.dodgeco.com/). 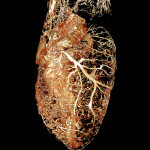 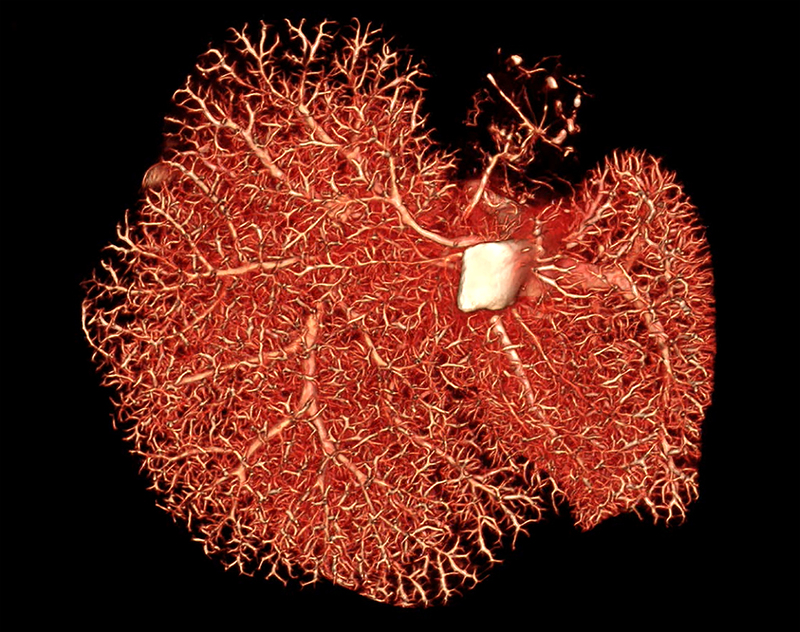 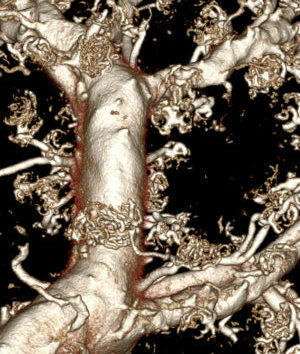 The addition of metaflow improved perfusion, including continuity of filling, of some vascular organs. 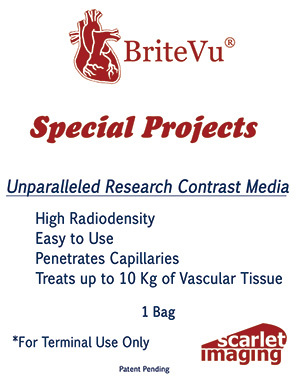 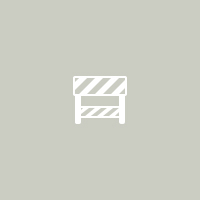 For more details as to how we used Metaflow with BriteVu perfusions, please ‘Contact’ us. 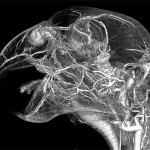 Scanned on Siemens Inveon Micro CT at 35 µm.